To receive these grants, individuals will be required to meet some basic criteria. 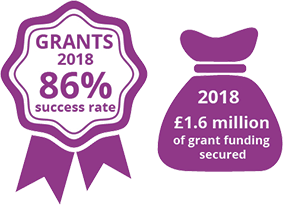 This includes attending the Enterprise for Success programme, which provides 12 hours over a 2 day workshop (pre-start) or 6-12 hours (post-start) of one-to-one advice and support. This will be delivered from the newly opened Tamworth Enterprise Centre at Phillip Dix House. The Enterprise for Success programme ensures individuals and businesses have the right skills they need to run their business and results in the creation of a business plan.